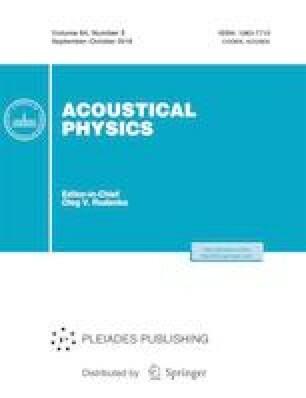 The effect of sound pressure level on acoustic resistance of an orifice in a baffle is investigated based on the measurements in an impedance tube by the two-microphone method. Dependences of the resistance of an orifice on the diameter of the latter are obtained for the case of nonlinear mode of operation. It is shown that, in this case, the resistance of the orifice depends on its diameter. The dependence of the nonlinear resistance on particle velocity in the orifice is approximated by a linear function.